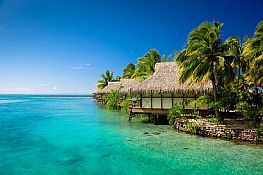 The beautiful island of Tahiti, encircled by black sand beaches and a crown of steep majestic peaks, is the largest and most diverse of the Polynesian islands. 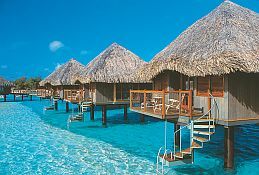 Some aspects of Tahiti are quite modern, such as its unique entertainment events, animated nightlife and museums. There is a tremendous range of hotels and fine international cuisines available to guests of all tastes. Papeete is the capital and reveals its own special surprises like its colorful public market, its world-class boutiques and spas, and its month-long Heiva festival of Tahitian folklore, music and dancing. 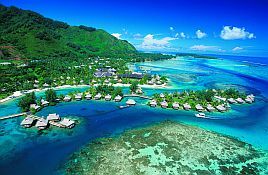 Your options in Tahiti are as broad as your imagination, whether it is natural, nautical or cultural.